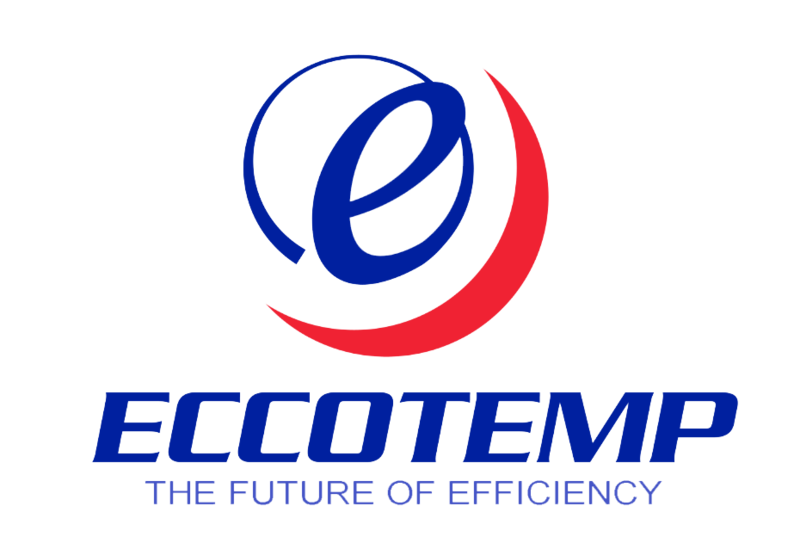 Eccotemp tankless water heaters, also called instantaneous, continuous flow, inline, flash, on-demand or instant-on water heaters, are also available and gaining in popularity. These water heaters instantly heat water as it flows through the device, and do not retain any water internally except for what is in the heat exchanger coil. Tankless heaters are often installed throughout a household at more than one point-of-use (POU), far from the central water heater, or larger models may still be used to provide all the hot water requirements for an entire house. 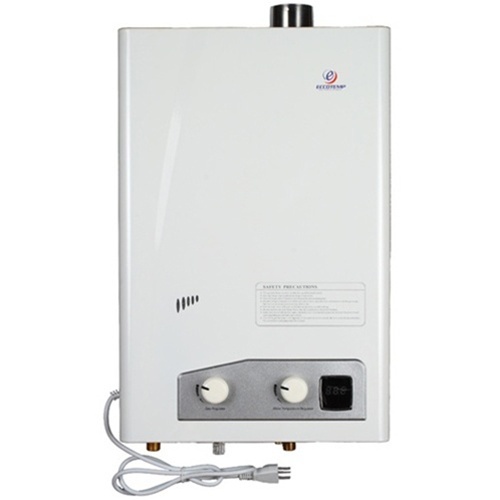 The main advantages of Eccotemp tankless water heaters are a continuous flow of hot water and energy savings (as compared to a limited flow of continuously heating hot water from conventional tank water heaters). When there is a demand for hot water (e.g. a hot water tap is opened for a sink, shower, tub, or washing machine) the tankless water heater's water flow turbine senses the flow and starts the heating process. The water flow turbine sends a signal to the control board which looks at multiple factors: incoming water temperature, desired water temperature as set on the temperature controller, and the calculated difference between the two temperatures. Depending on the calculated incoming and desired water temperatures, the gas or electric flow into the burner assembly is modulated and the electronic ignition sequence begins. Water is heated to the desired temperature as it circulates through the copper heat exchanger providing continuous hot water. When the hot water tap is turned off, the tankless water heater shuts down and is placed in a standby mode pending the next call for hot water. Long term energy savings: Although a tankless water heater might cost more initially it may result in both energy and cost savings in the long term. As water is heated only when it is needed, there is no storage of hot water. With a tank, water is kept warm all day even if it never gets used and heat loss through the tank walls will result in a continual energy drain. 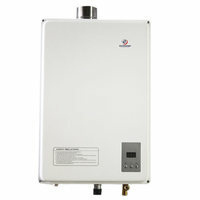 Even in homes or buildings with a high demand for hot water, a tankless water heater may provide some level of savings. In a typical home these savings are quite substantial. If instant hot water at the taps at limited hours is a priority, a recirculation system similar to those in the tank-type systems can be accommodated by using an aquastat and timer in order to decrease the added heat loss from the recirculation system. It has to be said though that if the storage tank is highly-insulated—a few tanks are available with excellent levels such as 100 mm or more polyurethane foam—the savings become minimal. 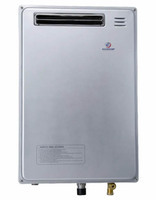 For one consumer-grade electric storage water heater, the surface temperature was less than 1 °C higher than the air temperature. Unlimited hot water: As water is heated while passing through the system an unlimited supply of hot water is available with a tankless water heater. Although flow rate will determine the amount of hot water that can be generated at one time it can be generated indefinitely. However, this can also be a disadvantage as running out of hot water self-limits use while a tankless heater has no such limit. Less physical space: Most Eccotemp tankless water heaters can be mounted on a wall or even internally in a building's structure. This means less physical space has to be dedicated to heating water. Even systems that can't be mounted on walls take up less space than a tank-type water heater. Reduced risk of water damage: No stored water means there is no risk of water damage from a tank failure or rupture, although the risk of water damage from a pipe or fitting failure remains. Improper piping in either the hot or cold water lines to the tankless water heater can result in water damage though. Temperature compensation A temperature compensating valve tends to eliminate the issue where the temperature and pressure from tankless heaters decrease during continuous use. Most new generation Eccotemp tankless water heaters stabilize water pressure and temperature by a bypass valve and a mixing valve which is incorporated in the unit. Modern Tankless are not inversely proportional, because they will regulate the amount of water that is created and discharged, therefore stabilizing water temperature by utilizing a flow control valve. Flow speed is not the issue, but change in temperature is the important issue to address. The wider the temperature rise, the less flow you receive from the unit. The smaller the temperature rise, the more flow you receive. The flow control valve in conjunction with thermistors, maintains a stable temperature throughout the use of the unit. Safety Eccotemp tankless water heaters can precisely control the temperature of the treated water, which means dangerous temperature levels and spikes are no longer a problem.